WDW’s FastPass+ being tested in the parks now! | What's Up With The Mouse? ← My Disney Wedding is Complete! WDW’s FastPass+ being tested in the parks now! 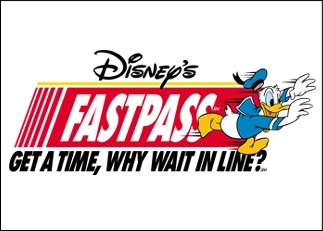 Over the next several months Walt Disney World will be testing enhancements to Disney’s FASTPASS® service at the Walt Disney World Resort. The test, called Disney FastPass+, will allow a small number of Guests to make Disney FastPass+ selections for some of their favorite experiences at Magic Kingdom® Park before they even leave home. During this test period, select Guests who are registered to use Disney’s Magical Express service will be offered the opportunity to go online to pre-select four Disney FastPass+ experiences at Magic Kingdom Park. Guests eligible for this test will be notified via mail, at the mailing address provided during the booking process. It’s important if you are using a travel agent who specializes in Disney travel that the agent pass along these invitations to you in order for you to take advantage of this unique opportunity. While this exciting concept is currently only in the test phase, Disney will continue to share information on the wide range of new, innovative experiences they will be testing and implementing over the coming year, which are designed to make a Walt Disney World vacation even more magical! This entry was posted in Walt Disney World, What We're EARING. Bookmark the permalink.